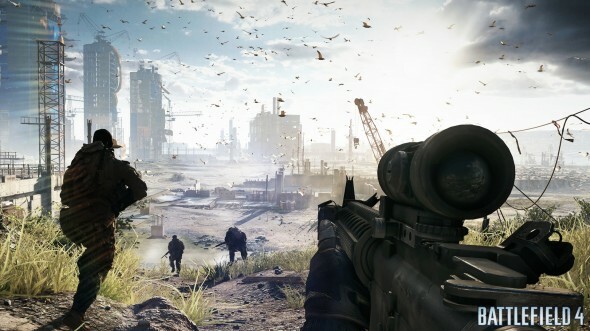 Electronic Arts company - the publisher of the popular strategic shooter - has officially announced the release date of the Battlefield 4 DLC titled Second Assault for PC, PS3, PS4 and Xbox 360. The add-on will be available for the Premium users on February 18th and for other players on March 4th. The access to the Second Assault DLC for the Xbox One subscribers has been opened since November 2013. - two additional gadgets: a grenade launcher for the Assault class and an aircraft that deactivates the projectiles for the Engineer class. The Naval Strike Battlefield 4 DLC will be released in the late March of 2014 for the Premium users. According to Electronic Arts, the subscribers will be able not only to receive access to the content two weeks earlier than the other players, but also to get the exclusive weekly updates, leading positions in the server queue, 12 Battle Packs and more.